Today is Ubuntu’s ten year anniversary. Scott did a wonderful job summarizing many of those early years and his own experience, and while I won’t be as articulate as him, I wanted to share a few thoughts on my experience too. I heard of this super secret Debian startup from Scott James Remnant. When I worked at OpenAdvantage we would often grab lunch in Birmingham, and he filled me in on what he was working on, but leaving a bunch of the blanks out due to confidentiality. I was excited about this new mystery distribution. For many years I had been advocating at conferences about a consumer-facing desktop, and felt that Debian and GNOME, complete with the exciting Project Utopia work from Robert Love and David Zeuthen made sense. This was precisely what this new distro would be shipping. When Warty was released I installed it and immediately became an Ubuntu user. Sure, it was simple, but the level of integration was a great step forward. More importantly though, what really struck me was how community-focused Ubuntu was. There was open governance, a Code Of Conduct, fully transparent mailing lists and IRC channels, and they had the Oceans 11 of rock-star developers involved from Debian, GNOME, and elsewhere. I knew I wanted to be part of this. While at GUADEC in Stuttgart I met Mark Shuttleworth and had a short meeting with him. He seemed a pretty cool guy, and I invited him to speak at our very first LugRadio Live in Wolverhampton. I am not sure how many multi-millionaires would consider speaking to 250 sweaty geeks in a football stadium sports bar in Wolverhampton, but Mark did it, not once, but twice. In fact, one time he took a helicopter to Wolverhampton and landed at the dog racing stadium. We had to have a debate in the LugRadio team for who had the nicest car to pick him up in. It was not me. This second LugRadio Live appearance was memorable because two weeks previous I had emailed Mark to see if he had a spot for me at Canonical. OpenAdvantage was a three-year funded project and was wrapping up, and I was looking at other options. I asked him if he could send over the job description. When I read it I knew I wanted to do it. Fast forward four interviews, the last of which being in his kitchen (which didn’t feel awkward, at all), and I got the job. The day I got that job was one of the greatest days of my life. I felt like I had won the lottery; working on a project with mission, meaning, and something that could grow my career and skill-set. The day I got the job was not without worry though. I was going to be working with people like Colin Watson, Scott James Remnant, Martin Pitt, Matt Zimmerman, Robert Collins, and Ben Collins. How on earth was I going to measure up? A few months later I flew out to my first Ubuntu Developer Summit in Mountain View, California. Knowing little about California in November, I packed nothing but shorts and t-shirts. Idiot. I will always remember the day I arrived, going to a bar with Scott and some others, meeting the team, and knowing absolutely nothing about what they were saying. It sounded like gibberish, and I felt like I was a fairly technical guy at this point. Obviously not. What struck me though was how kind, patient, and friendly everyone was. The delta in technical knowledge was narrowed with kindness and mentoring. I met some of my heroes, and they were just normal people wanting to make an awesome Linux distro, and wanting to help others get in on the ride too. What followed was an incredible seven and a half years. I travelled to Ubuntu Developer Summits, sprints, and conferences in more than 30 countries, helped create a global community enthused by a passion for openness and collaboration, experimented with different methods of getting people to work together, and met some of the smartest and kindest people walking on this planet. Ubuntu helped to define my career, but more importantly, it helped to define my perspective and outlook on life. My experience in Ubuntu helped me learn how to think, to manage, and to process and execute ideas. It helped me to be a better version of me, and to fill my world with good people doing great things, all of which inspired my own efforts. This is the reason why Ubuntu has always been much more than just software to me. It is a philosophy, an ethos, and most importantly, a family. 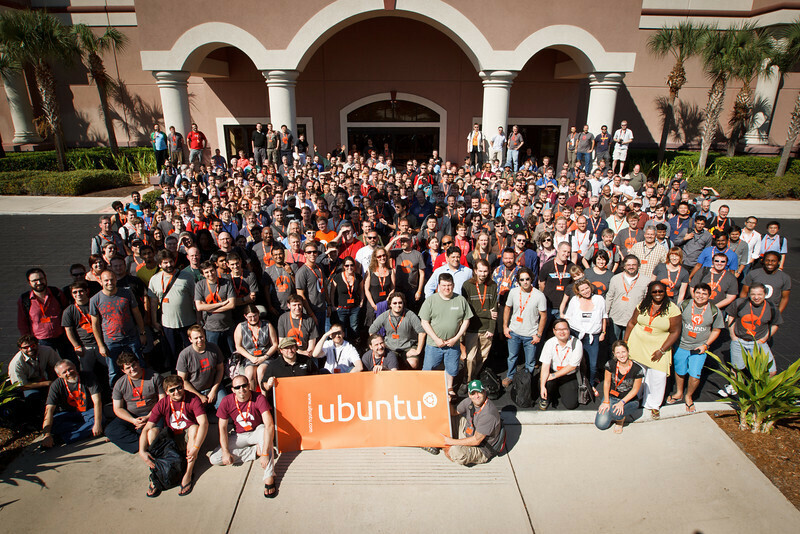 While some of us have moved on from Canonical, and some others have moved on from Ubuntu, one thing we will always share is this remarkable experience and a special connection that makes us Ubuntu people. Nice article. Many people would love to share an experience like that (and everybody should not stop trying). PS. Canonical and software industry in general, back on 2007, male dominated? What about now? CEO of Canonical since March 2010 is Jane Silber, a woman.